Nelson County offers three river options for enjoying canoeing, kayaking or tubing: the Tye River, the James River and the Rockfish River. With headwaters beginning high in the Blue Ridge Mountains and the George Washington National Forest, the Tye River is one of the most beautiful whitewater streams in Virginia. The river begins at the end of two mountain passes, the North Fork and South Fork, at the foot of a mountain. It travels for about 34 miles through Nelson County, through beautiful scenery, with mountain, valley and pastoral views. The upper section can have strong whitewater for advanced paddlers, and the middle and lower sections, moderate whitewater on a seasonal basis. The rapids are rated Class I to Class II+. Depending upon water conditions, some rapids on the Tye River can approach Class III to IV. 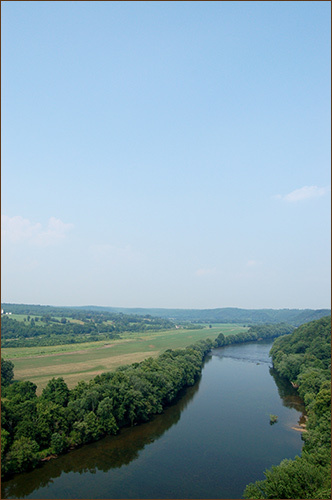 The James River forms the southeastern border of Nelson County, and is the longest and largest of Virginia’s rivers, draining the center of Virginia, from the Appalachian Mountains to the Chesapeake Bay. 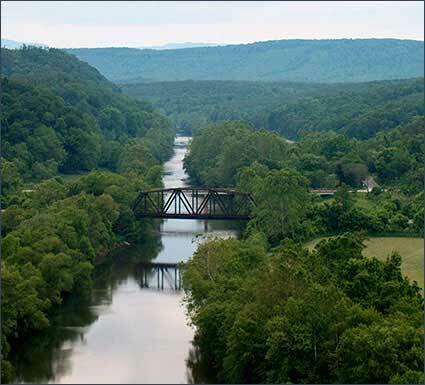 Important as a transportation center, the canals, railroads, highways, factories, cities and dams show how central the role of the James River was in developing the state of Virginia. Many access points exist for canoeing or kayaking the river. Small boats (such as john boats) can also be used at most access points. The Rockfish River is formed in Nelson County, Virginia, by the confluence of its North and South Forks (37°54′13″N 78°49′58″W), both of which rise in the Blue Ridge Mountains near the Blue Ridge Parkway. It flows generally southeastwardly through northern Nelson County; in its lower course the river is used to define the boundary between Nelson and Albemarle counties. It enters the James River from the northwest on the common boundary of the two counties, about 8 miles (13 km) southwest of Scottsville. (8.5 mile distance, normally canoeable in the winter, for an average of 15-18 days/yr. (13.5 mile distance, normally canoeable in the winter and early spring, for an average of 55-60 days/yr. (11.5 mile distance, normally canoeable in winter, spring and early summer, for an average of 100-115 days/yr. Difficulty 1,2,3. Very good scenery. Put-in, at Rt. 29, below the seven-foot dam. Alternatively, get permission to cross private property at Rt.739 bridge crossing for a shorter carry. (1.5 mile distance, normally canoeable only in winter, following a prolonged wet period, for an average of 5-6 days/yr. Difficulty 3-4. Very good scenery. Hazards: continuous, strong rapids, with an impassable rapid upstream from the bridge put-in. Rocks and boulders abound, seek full information on this section before attempting. 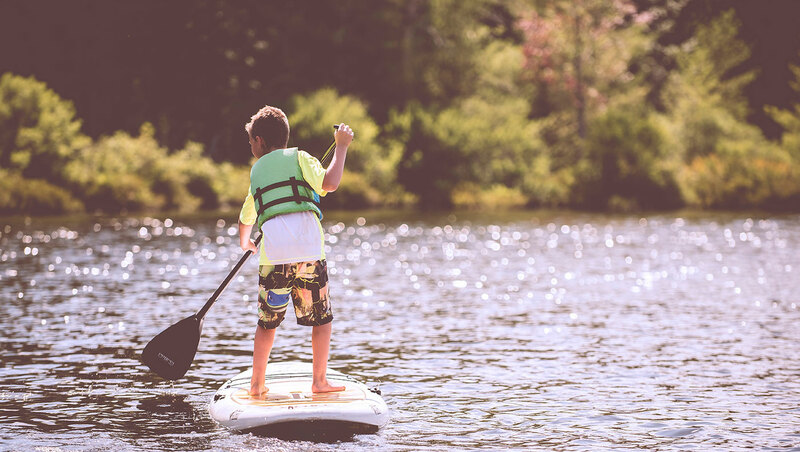 Several companies offer livery services for canoeing, kayaking or tubing on the James River, making it easy to get on the water and return you to your original starting point. Call or check their websites for more information. Book a trip for a day on the James, Rockfish or Tye Rivers for yourself, your family or a group. Shuttle service available. Canoe, Kayak & Rafting trips /Tubing Trips. Overnight trips available. (5.5 mile distance, normally canoeable only in the winter, with average canoeable days 10-12/yr. (5 mile distance, normally canoeable in the winter, with average canoeable days 12-15/yr. LAKE NELSON is a 40-acre impoundment located in Nelson County, Virginia. This reservoir is owned by the Virginia Department of Game and Inland Fisheries (VDGIF) and is managed primarily for fisheries related activities. Facilities available at this reservoir are a boat ramp, parking area and portable toilets which are available March-September. The lake is open 24 hours a day. Outboard motor use is prohibited but electric motors are permitted. Lake Nelson can be accessed from Route 29 near Colleen (Nelson County), then take Route 655 about 2.8 miles to Arrington; go through Arrington, then left on Route 812, go about 2.2 miles and watch for the sign. Turn left and follow the road to the lake. The Virginia Department of Game and Inland Fisheries (DGIF) requires an Access Permit for visitors to department-owned Wildlife Management Areas (WMAs) and public fishing lakes effective January 1, 2012, who are age 17 and older, unless they possess a valid Virginia hunting, freshwater fishing, or trapping license, or a current Virginia boat registration. You agree that the use of the information on this website is at your own risk. Information on this site is provided by third parties. The operator of this website or its affiliates do not warrant the accuracy, quality, or noninfringement of the information provided and will not be liable for any claims or damages resulting from use of information obtained on this website. Whitewater paddling is an extremely dangerous sport with a high risk of death and serious injury. This website is designed to help you easily find the right stretch of whitewater to paddle based on your location and your paddling abilities. It does not have any information on current conditions or safety advisories for the location you select. You need to search for more updated information on the selected stretch of river before you go. Not having the latest information about a paddling area is extremely dangerous and may cause death or serious injury.